September is the last time this year to get a good look at the beautiful, ringed planet Saturn, which has moved into the Name A Star Live constellation Libra. You can use the Moon to find this astronomical jewel, and use just about any telescope to see its rings! 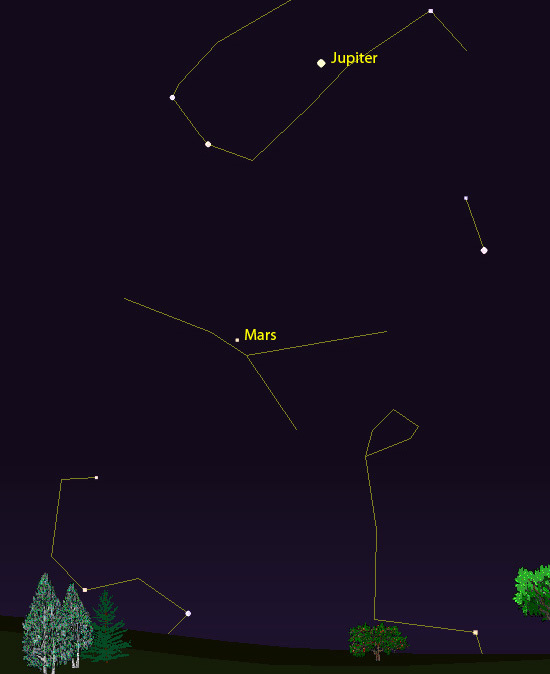 You can easily see Saturn and Venus (weather permitting) September 9, 2013 by facing west shortly after sunset. 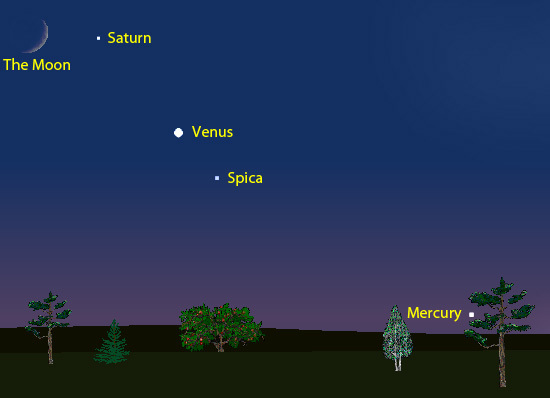 You may see the bright star Spica (part of the Name A Star Live constellation Virgo) and, if you have a clear view of the western horizon, the planet Mercury. This is a view from the northern hemisphere of Earth. Saturn is an excellent telescopic object this summer. For those of you in the northern hemisphere of Earth (e.g., North America, Europe, Japan) Saturn will appear above your western horizon after sunset. For those of you in the southern hemisphere (e.g., Australia, New Zealand, South America — where it is winter, by the way) Saturn will appear above your west-northwest horizon after sunset. 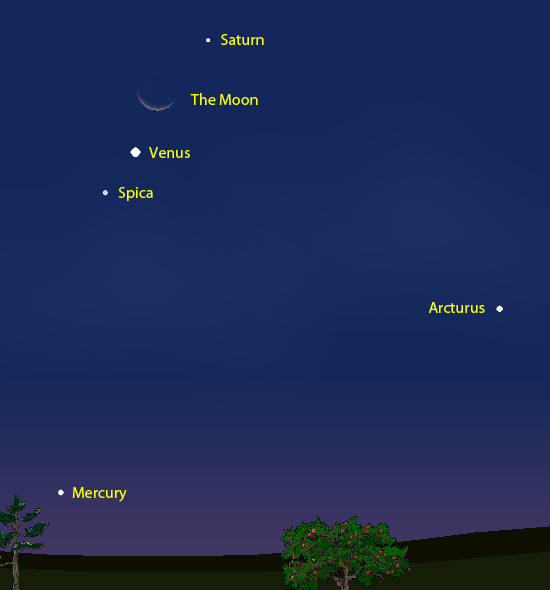 Here is how Saturn, the Moon and Venus will appear as viewed from Sydney, Australia September 9, 2013 (weather permitting).